Little Rock (LR) men’s basketball began its season tonight on Homecoming Weekend. The Trojans hosted Ouachita Baptist University (OBU) in a thrilling game at the Jack Stephens Center. LR’s fan base was in full force for the homecoming game and the Trojans gave them a lot to cheer about. OBU won the contest, but it came down to the last seconds before they pulled out the victory. It was a close ball game in its entirety. The first half was back and forth with six ties and eight lead changes. OBU took a 40-34 lead into the half. OBU shot 44% in the first half to LR’s 50%. The Tigers senior guard Jontavis Willis was the half’s high scorer with 9. At half-time, the Homecoming court was honored, and Ms. Courtney Curry was crowned Homecoming Queen. After the ceremony, LR came out of the locker room aggressive. LR scored five quick points to begin the second half. A lay-up by junior forward Ben Marcus and a three by junior guard Anthony Black cut the lead to one, the closest LR would come to besting the Tigers. Excellent shooting from the field and the three-point line by OBU held off every LR surge. The Tigers shot 73.7% from the field and 66.7% from three in the second half to eventually get the 81-79 victory. OBU’s Willis went 4-8 from beyond the arc and ended as the game’s leading scorer with 18. Freshman forward Damir Hadzic led the Trojans in scoring with 16. He shot 7-11 in the game and tallied four rebounds. Junior forward Oliver Black led all players in rebounds with nine and LR had four players score in double figures. Junior guard Cameron Reed went 2-3 from the three-point line and finished with 8 points. 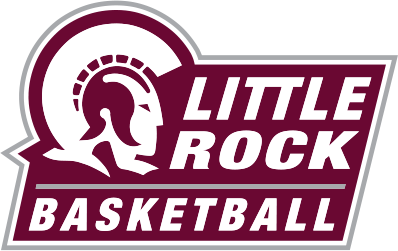 This was Little Rock basketball’s 80th season opener. Including today, LR, is an even 40-40 in season openers. Coming up, the Trojans face a three-game road trip against Memphis, Grand Canyon University, and San Diego. They return home on Nov. 25 to begin a three-game home stand. Their first opponent is Robert Morris and the game is slated for 3:00 p.m.